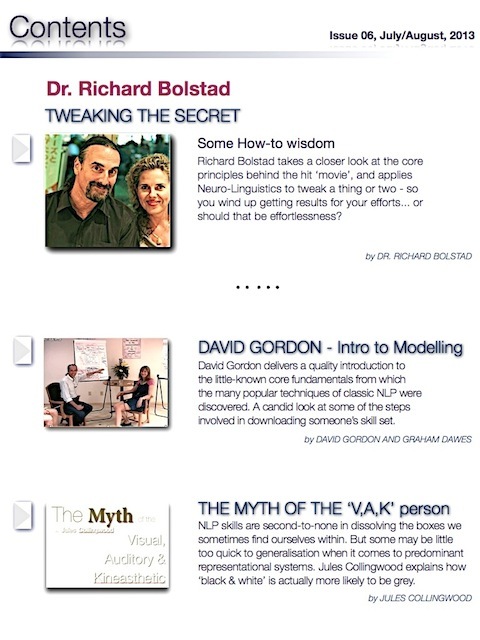 * Dr. RICHARD BOLSTAD takes a closer look at the core principles behind the hit movie The Secret, and applies Neuro-Linguistics to tweak a thing or two – so you wind up getting results for your efforts… or should that be effortlessness? 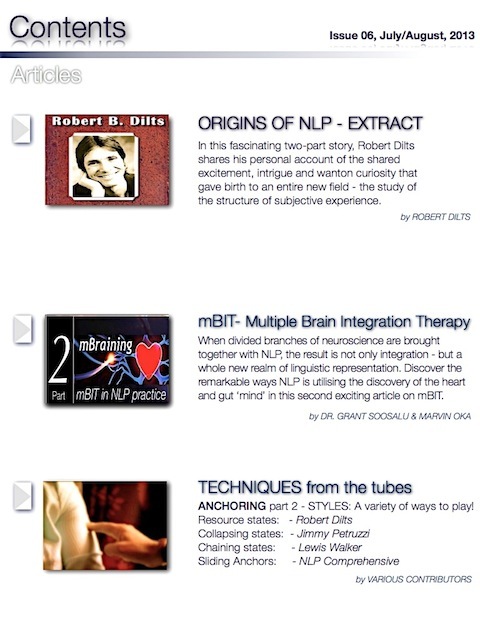 * DAVID GORDON delivers a quality introduction to the little-known core fundamentals out of which the many popular techniques of classic NLP were discovered. A candid look at some of the steps involved in downloading someone’s skill set. * JULES COLLINGWOOD, Co-Director at Inspiritivelife coaching clears up a common, misguided generalisation many practitioners have fallen victim to when it comes to predominant representational systems. Jules Collingwood puts things in place and explains how black & white is actually more likely to be grey. * ROBERT DILTS tells his fascinating story about his personal account of the shared excitement, intrigue and wanton curiosity that gave birth to an entire new field – the study of the structure of subjective experience. Part one. * MARVIN OKA & GRANT SOOSALU – When divided branches of neuroscience are brought together with NLP, the result is not only integration, but a whole new realm of linguistic representation. 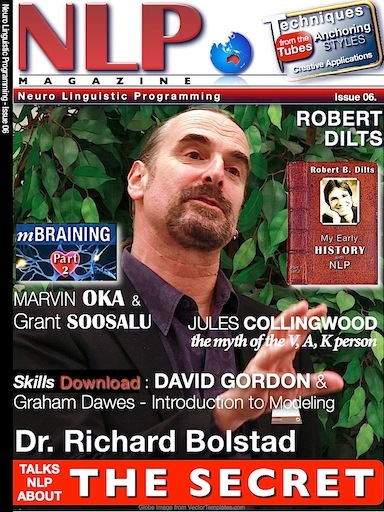 Discover the remarkable ways NLP is expanding with the discovery of the heart and gut mind in this second exciting article on mBIT. * NLP TECHNIQUES – ANCHORING part 2. STYLES: A variety of ways to play!